Working in the kitchen is something we all have to do and, while it is work, it can be enjoyable too. These fun gadgets lighten the workload and some of them are just plain fun too. Check out these kitchen tools that can make great kitchen hacks and speed things up. Spiral veggies are becoming a foundation for some many people in their everyday cooking. 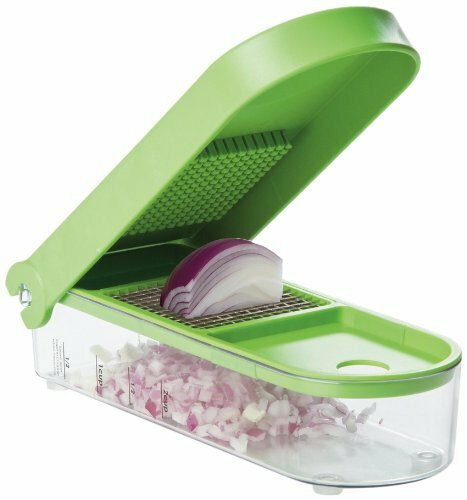 It makes spiralizing veggies so easy! 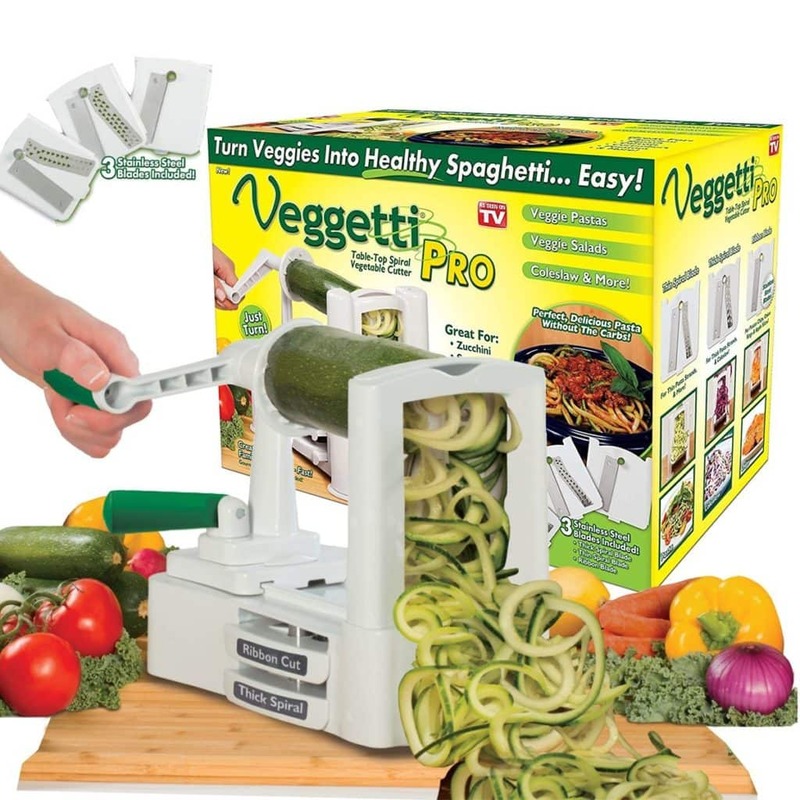 The Veggetti Pro Table-Top Spiralizer features three stainless steel interchangeable blades. 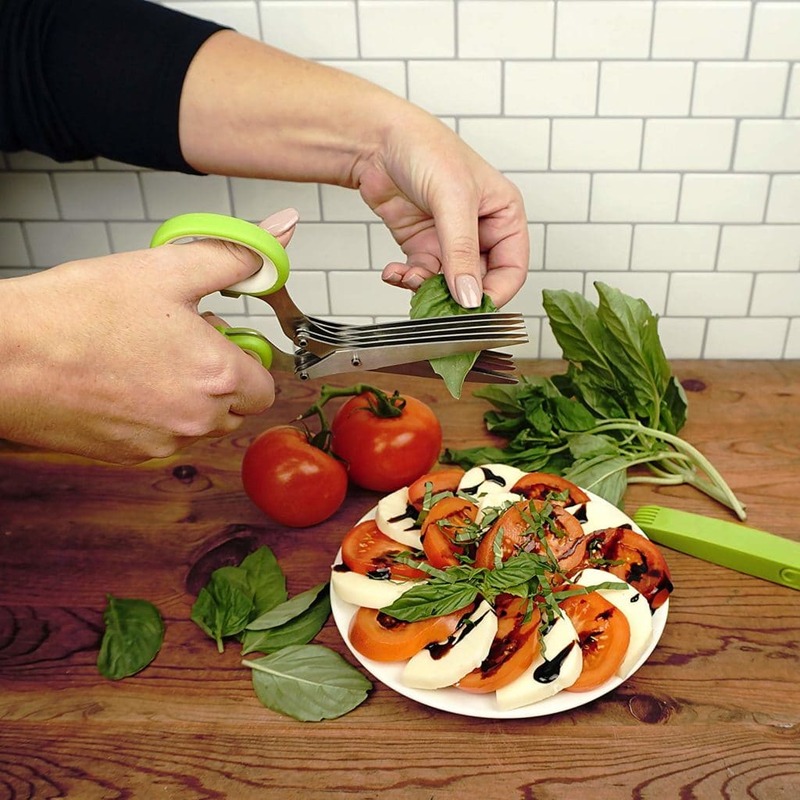 Spiral veggie cutter- This cool kitchen tool is used to transform vegetables into juliennes, stir-fry, and pasta. You can choose from various strand styles and is ideal for potatoes, carrots, zucchini, and squash. Eat healthy and save time! 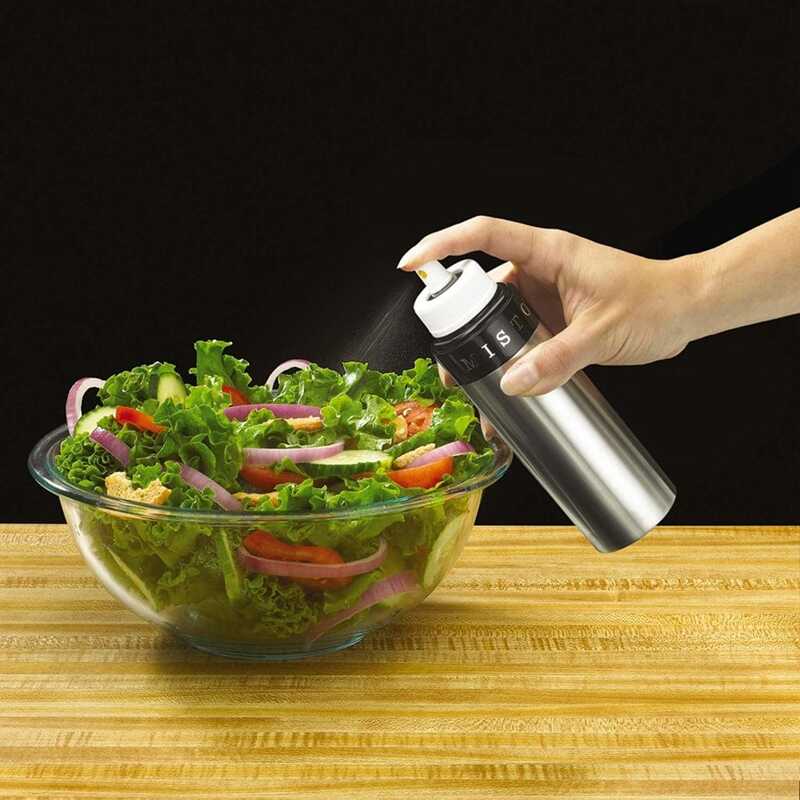 Save money on spray oils with this mister. It allows you to use the oil of your choice. The Oil Mister helps you to add your own flavor to your foods and also helps to control fat and eliminate the aerosol factor. It is made from heavy-duty plastic and features a fill line with a plastic pump top as well as stainless steel ring base. I love anything that brightens my kitchen and these are definitely colorful! Plus it has the metric measurements on there. 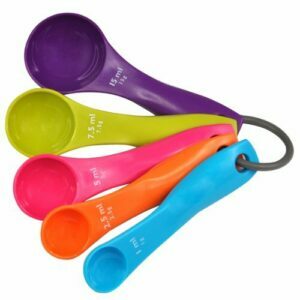 They are dishwasher safe and the hanging ring keeps each nesting set together for storage and separates for easy use and washing. This is one of my personal favorite kitchen hacks! Just place your onion in here and you can chop away. Tears are reduced because the onions drop into an enclosed container. And it’s not just for onions, it creates perfectly chopped onions, tomatoes, and peppers for salsa, carrots for fried rice or stir-fry or eggs for egg salad. It Comes with a cleaning brush too. Knife sets are nice but I like this gadget set! 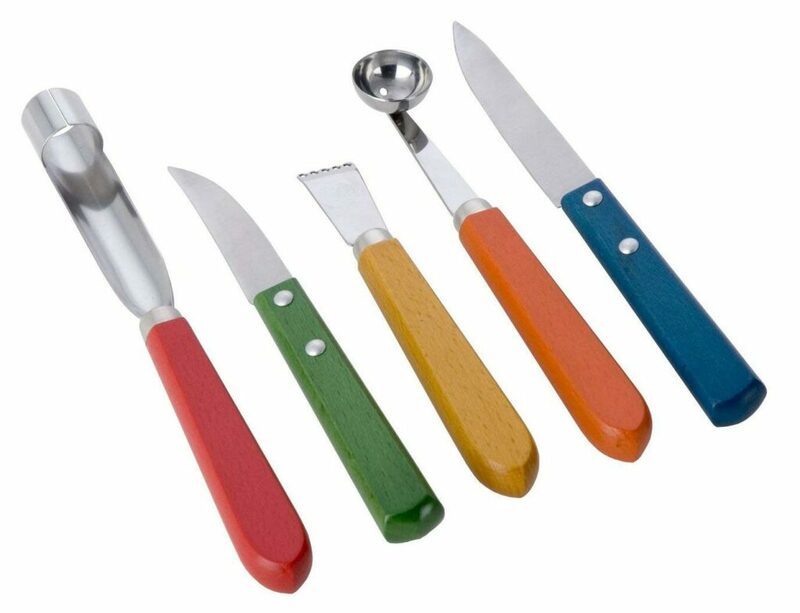 With these handy tools you can scoop and make uniform melon and fruit balls for platters and the zester peels only the rind from citrus for delicate flavoring of sauces, specialty breads, and desserts. The corer quickly ejects the center of fruits to simplify desserts and sauces, removes the tomato core for Italian-based entrees. The peeler is ideal for peeling fruits and vegetables for garnishing and the paring knife with its beak shape reduces fatigue while cutting food. Everything you need is in one set. These useful little scissors make cutting and chopping herbs and greens a snap. Cut, chop, mince and snip herbs and vegetables in no time at all. They are perfect for basil, thyme, dill, parsley, chives, mint, fennel and more. Using fresh herbs means keeping flavors crisp and clean and will help to preserve the health benefits and flavors of fresh herbs. Easy to use. Just use directly over a pan or plate to make perfectly sized, restaurant quality quick and impressive garnishes for soups, salads, pizza and side dishes. The protective BPA free blade cover keeps your hands safe from cuts and scrapes while the convenient comb cleans the blades free of debris. This amazing little slicer is not only a time saver but fun to use as well. Kids love using it too. 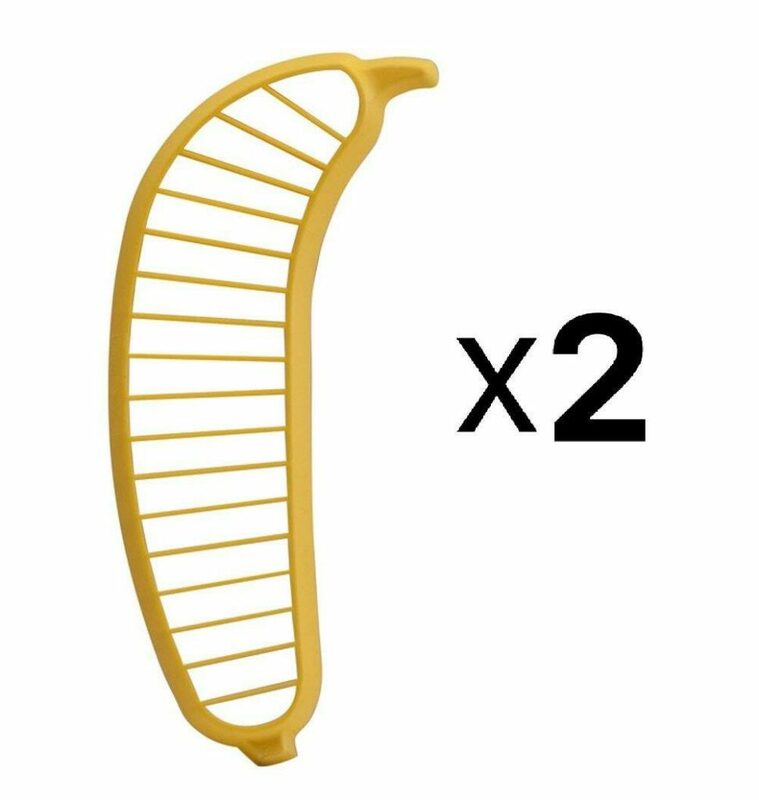 It makes sliced bananas for desserts uniform. It is very inexpensive! Here is another handy slicer but this time for an avocado. But it does more than just slice it! 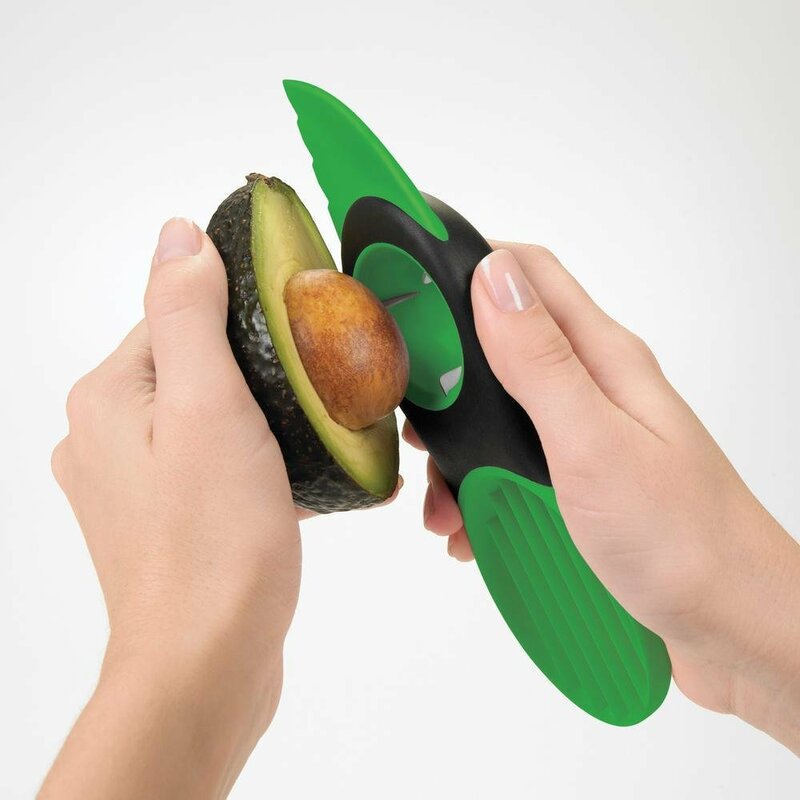 It’s an all-in-one tool that splits, pits and slices avocados. The stainless steel pitter removes the pit with one quick twist and the slicer lifts fruit from skin in seven perfect pieces. It has a soft, comfortable non-slip grip and is top-rack dishwasher safe. Often cooking calls for food to be measured by weight but who wants a big bulky scale on the counter? This digital kitchen scale is just the answer. 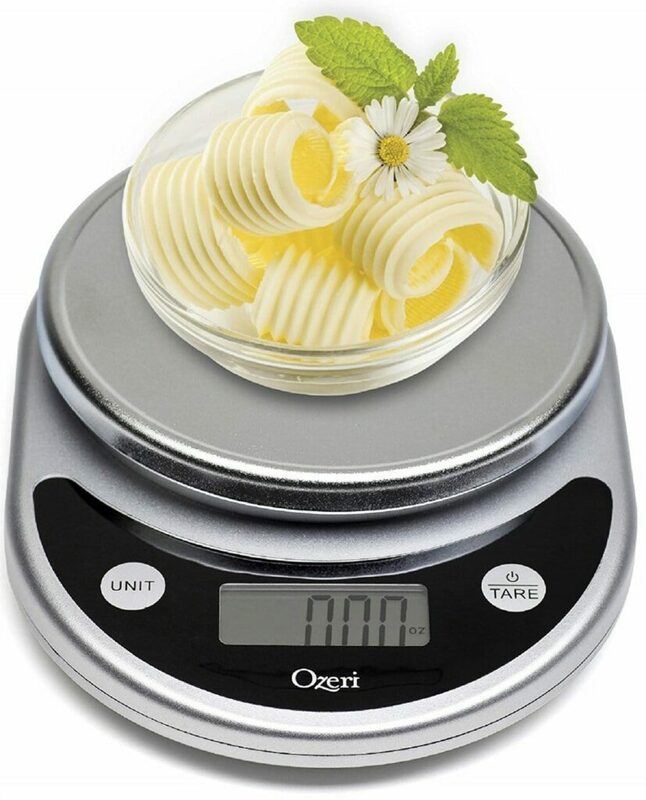 Accurate, elegant, easy-to-use digital kitchen scale for your largest and smallest cooking projects – weighs up to 11.24 lbs (5100 grams) with precise graduations of 0.05 oz (1 gram). Automatic Unit Button instantly converts between 5 units of measurements (g, lbs, lbs: oz, oz, ml) and displays results on an easy-to-read LCD screen – e.g. easily convert 539 grams to 1.188 pounds to 1 pound 3 ounces to 19.01 ounces to 539 ml. Uses batteries. Good spatulas are a must in any kitchen. Wilton is known for quality products and this 3-piece set provides just that. 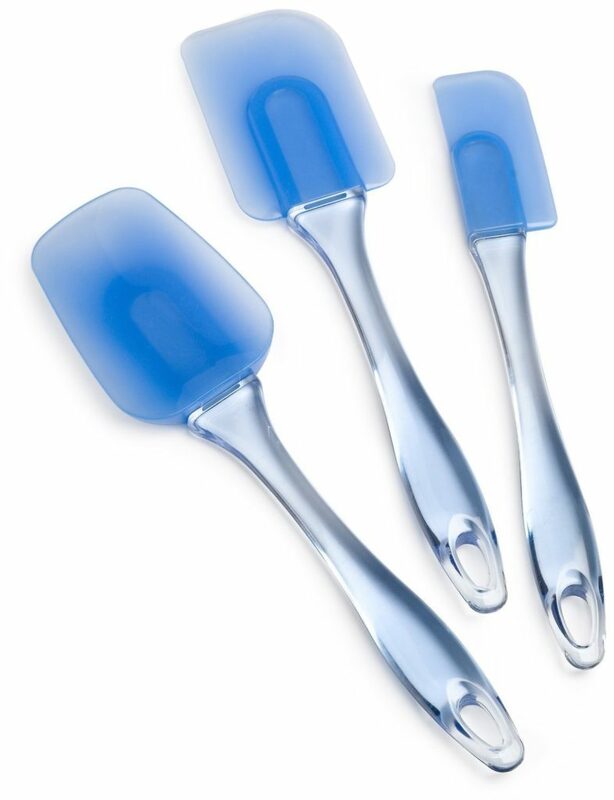 It includes small- and medium-sized spatulas plus large-sized spoon-style spatula that are translucent blue-tinted, crystal-like plastic handles with holes for hanging. They are heat-resistant up to 500 degrees F. Stain and odor resistant and dishwasher safe. Which product from Hack Your Food Prep! 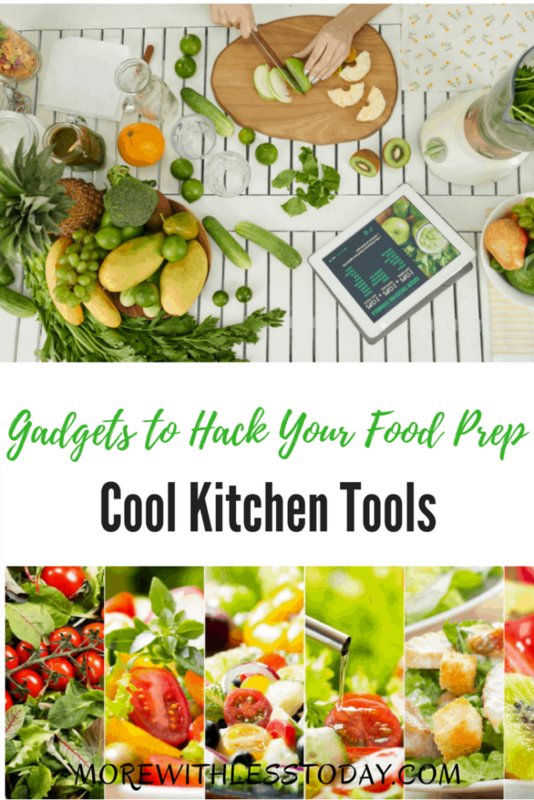 Cool Cooking Tools and Kitchen Gadgets is your favorite?